24 craft beers on tap, NFL Sunday Ticket, Big Ten Network and Free WiFi. With 11 flat screen TV’s playing in Hi-Def from one end of the bar to the other covering all of your sporting events from football, basketball, racing, golf, baseball, soccer and hockey. Every seat in our place has a view. What else is there to say? 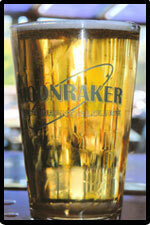 Moonraker is the best venue for sports and fun in Battle Creek. 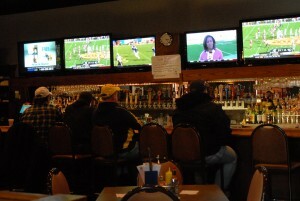 Our 11 Hi-Def flat screen TVs display all the games so that you won’t miss any action. You can see a TV from every seat in the restaurant. Come out today to cheer your team on. View our drink menu. Our bartenders can pour the perfect beer or mix you up a cocktail. 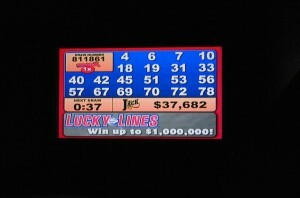 We offer Club Keno, Mega Millions, Powerball and all daily numbers games.